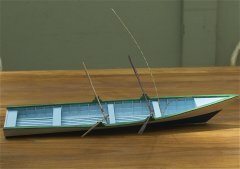 I wanted to build a model of my fathers fishing pirogue from the 1960s which was built of local cedar. 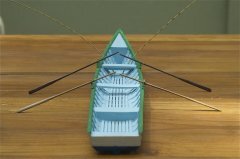 Today most of the Caribbean fishing boats are made of fibreglass. It took me a few years to find an old wooden one. I spent lots of time measuring the various parts. 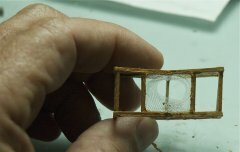 I also built it the way the local fishermen build it upside down from the keel to the gunnel. It is is an exact copy.